Call Time: Guests may arrive at the venue starting 8:00am. Cut-off Time: Guests must strictly arrive no later than 9:00am. Failure to arrive will mean forfeiture of tickets. Children below 7 years old, pregnant women, and persons with heart conditions shall NOT be allowed to be part of the audience. Adults must accompany children at a 1:1 ratio, and may be required to present proof of age of a child (such as birth certificate or school ID). Photos and images do not guarantee artist line-up for any event. Please be advised that show schedule and telecast type (live or taped) may sometimes vary. 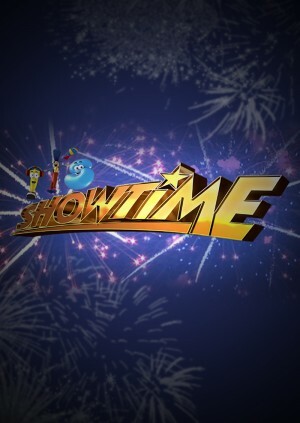 Learn all about the ABS-CBN story, get a behind-the-scenes look at your favorite shows and programs, and get an overdose of fun and games with the Unkabogable It's Showtime barkada with a studio audience participation in It’s Showtime. We may charge a small Handling Fee to ensure our site is working as conveniently and safely as possible for you. Not all tickets or events have booking fee charges. Events that do incur a fee will always be clearly labeled when purchasing tickets.